As teenage werewolf Kalix MacRinnalch is pursued through the streets of London by murderous hunters, her sister, the Werewolf Enchantress, is busy designing clothes for the Fire Queen. Meanwhile, in the Scottish Highlands, the MacRinnalch Clan is plotting and feuding after the head of the clan suddenly dies intestate. Lonely Werewolf Girl is a most unusual tale of Scottish werewolves from the pen of author Martin Millar, who also writes the Thraxas fantasy series under the name of Martin Scott. 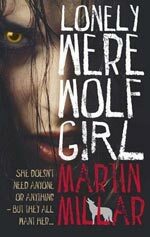 As one might surmise from the title this book follows the story of its main protagonist Kalix, a teenage werewolf misfit, who finds herself homeless and friendless on the streets of London. The book has a huge cast of characters – made up of humans, werewolves, werewolf hunters and fey elementals – but there are no vampires in this story. Lonely Werewolf Girl is a hard book to classify. Its warring werewolf subject matter suggests horror, its magical elements suggest urban fantasy but it doesn’t really follow the conventions of either genre. Full of black comedy and satire, Lonely Werewolf Girl reads like a pulp fiction rendition of a family feud gone mad, where the family just happen to also be werewolves. The opening pages of the book see Kalix living homeless in London after running away from her Scottish home. She has many issues; drug addiction, anorexia, a bizarre obsession with the music of 70s pop group The Runaways, anti-social behaviour and an unloving family who would like to see her dead being just the tip of her problems. Kalix herself is not always an easy character to like. Her anti-social behaviour and violent temper are responsible for her current difficulties. Unlike a lot of the protagonists of fictional books she hasn’t been provided with any of the mitigating circumstances that authors like to give their more difficult characters to make their bad behaviour seem more acceptable. She was a difficult child, she’s now a sullen and withdrawn teenager – the reader just has to accept that. As Kalix develops through out the story her character does become more engaging but it takes a while for her to get there. Kalix is not alone in being the only unsympathetic character in the story. A number of the book’s characters are generally unlikeable. The lack of sympathy that they engender in the reader leads them to be confusing in the motivations for their actions. Still in a book with so many characters its impossible for all of them to be disagreeable – Malveria the fashion-obsessed Fire Queen and her “not-quite-adopted niece” Vex, provide enough warmth and comic value between them to carry the story. However, the main problem with Lonely Werewolf Girl is its sheer volume. Weighing in at nearly 600 pages, that’s a lot of pages to be filled by what is essentially the story of a family fighting over their inheritance upon the death of the family patriarch. The book makes a strong start and has an exciting enough conclusion but it sags under its own weight in the middle, making it uphill reading at times. I think Lonely Werewolf Girl is a book that readers will either love or hate. Personally I loved it, got bored by it, hated it then liked it again – I think this has left me conflicted. Lonely Werewolf Girl is highly original and unlike any other fantasy or horror novel that a reader is likely to have read. 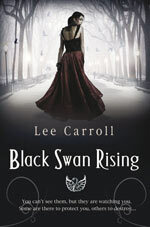 For cross-over readers who have no expectations of the urban fantasy genre this probably adds to the books popular appeal. For established urban fantasy readers the lack of showy magic, a strong protagonist and other genre conventions could be ultimately off putting. This may be the best book you’ve ever read – or not. Check it out for yourself and make up your own mind! To find out more about this book and Martin Millar’s other works visit Martin Millar’s website.